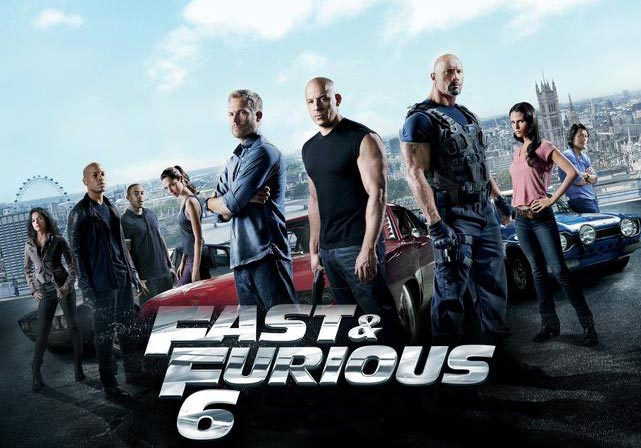 Vin Diesel, Paul Walker and Dwayne Johnson lead the returning cast of all-stars speed races to its next continent in Fast & Furious 6. The main “plot” is this: Diesel and Walker have to reassemble the team from FAST FIVE again, this time to help Agent Hobbs (Dwayne “The Rock” Johnson) track down hot shot bad guy Owen Shaw (Luke Evans) who is assembling parts of a deadly device that can black out a country for 24 hours .This is how much you are going to hear on that, rest is filled with chaotic car chases and gun fights throughout the movie. The film starts with the quote from Quentin Tarantino “I steal from every movie ever made”. So friends if you see any shots or scenes which resembles any Hollywood sequence keep it to yourself.The movie theme is based on time and how it changes ones life with unexpected challenges, in this case all in one day to our hero Nivin who plays Vetri as a jobless young man who has to deal with it. I am not able to categorize this film as comedy ,drama,thriller or crime, it has bits of everything in its amateurish way.Nivin has only acted as told by the director, he looks very cold in most of the scenes. I think its become normal to have dubbing errors, as on one cares about it and it shows in the main characters. Simhaa who acts as the villain has potential and i bet we can see more of him in the future.The director Alphonse Putharen who has also edited this film has managed to bring all the characters in play in film.Expect for Thambi ramaiyaa who’s disgraces himself in his character.Nazriya who’s plays Veni and the lover of our hero has potential but has less screen time in the film.The cinematographer Anend C.Chandran has experimented on colors and framing but very few can be applauded.To many tight close-ups and slow motion shots becomes unbearable after some time. P.S. the titles was a good attempt . Vijay Sethupathi’s first film of the year and it’s directed by Nalan Kumararaswamy who has already has gained popularity in Kalaignar Tv’s reality show Naalaiya Iyakkunar. This film is hilarious and full of entertainment. The story revolves around three jobless friends who come under the wing of Vijay Sethupathy who is a small time crook who forms the gang to take his level up as a kidnapper. All goes well until they plan a kidnapping of a politician and the story takes a twist with betrayal and comedy of errors and ends with a decent climax.